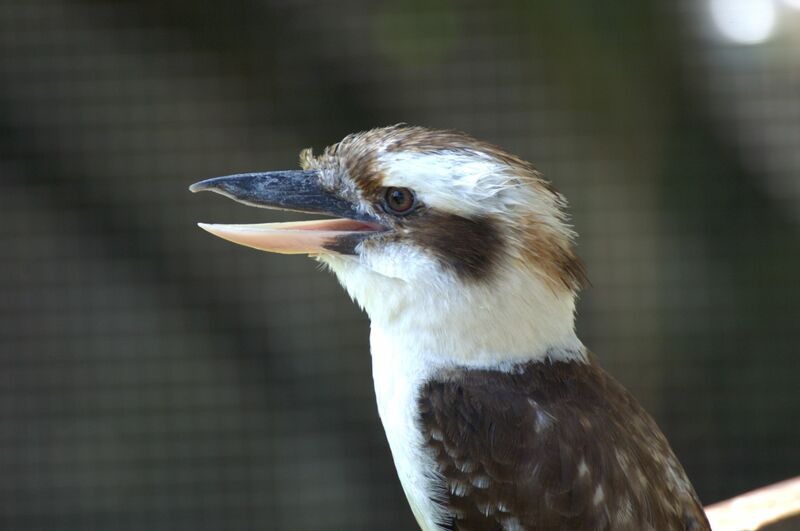 While at the Lowry Park Zoo, we were able to hear and video the Laughing Kookaburras. They will put a smile on your face and a tickle in your heart. We have featured them before, but thought they should be featured again. Unless, I change my mind or someone sends me a link to some birds in a “Tickle Me” action, this will probably be the last one for now. While trying to find some videos to use or photos, I became frustrated while searching for appropriate items for this blog. Either evolution, cuss words, or innuendos were used, that I choose not to share. Call me “old-fashioned” or whatever, but we try to honor the Lord on this site. Here are the Tickle Me Tuesday that were produced. This post will become a link on the menu under PLUS, so all of them can be found again, if you choose. Typing “Tickle Me” in the search will also bring them all back up. This entry was posted in Birds, Birdwatching, Christian, Tickle Me Tuesday and tagged Christianity, Creation, Home School, Joyful, Kids, Laughing Kookaburra, Laughter, Nature, Photography, Smile, Videos. Bookmark the permalink. I love Kookaburras we quite often have them in the trees surrounding us and they are such happy birds! Kim, like James’ remark below, we should come see you, Australia and see these great birds in the wild. That would be awesome Lee, maybe I’ll tag along and learn something about birding! Thanks for the laughing kookaburra, Lee. And thanks for the photography, Dan. As a boy I sang a song in elementary school: “Kookaburra sits in the old gum tree; merry, merry king of the bush is he; laugh, kookaburra, laugh, kookaburra, glad your life must be!” [Or something like that — it’s been 50 years now.] Also, I especially thank you, Lee, for insisting on quality control for the verbal content of your site — it makes perfect sense that a site featuring the Creator’s creatures should honor the Creator of those creatures. Like you, I weary of (and shun) profane babblings (2nd Timothy 2:16) emitted by sacrilegious mouths that appear to compete in a contest of who can abuse the Lord’s name the most (Exodus 20:7; Jude 1:14-15). Anyway, what a funny laugh that kookaburra has — maybe I’ll go to Australia some day and do some birding in the wild there . . . . Meanwhile, maybe I visit some kookaburras that live in a zoo, like you and Dan did. Thanks, Dr. Jim. I am trying, but sometimes if you are looking for something in particular, you have to pass them by because of others denial of creation and the Lord. Oh, these are great! Both of them — but I laughed really hard with the second one. Thanks for sharing them, Lee. I too would like to visit Australia. One good poet friend from there — whose work I’ve often reblogged or posted on Facebook –and I have been talking about how both of our countries have been so degraded by all the liberals in government. Of course, they do have conservatives in power right now. I told him the other day that I had been wondering if I could make it in Australia if I ever had to leave this country, but the way their Foreign Minister has been siding up to Iran lately, I’ve decided moving there wouldn’t do me any good either. Frankly, I think the only safe place to be may end up being Israel. At least I KNOW FOR SURE what the end of that nation will be. It may take some more fighting and suffering through a few things, but at least I know where it’s headed, and I have God’s Word on it. Lee. James and Sandra, come on Down!! And if you do, Maybe I could tag along with you and show you around and learn more about “birding” at the same time!! True and l know where to find the kangaroo as well! Also K! I remember teaching my kids the song! Such fun times.